An onion is a really useful vegetable, most people use onions in almost everything they cook, whether it’s the favourite spaghetti Bolognese or a great curry. What’s more is that an onion is relatively cheap and if you can grow your own then you will save even more money. Imagine paying less than 1p for an onion. There are two popular ways to grow onions, from seeds or sets. Both ways are relatively easy the decision is down to personal preference. For a gardener who is looking for a fast result then you can buy sets of small onions and transplant them into the garden. Experienced gardeners will ntend to buy their onions from sets. Onions sets have small grown onions that can be dug into the soil around March and April. These small onions will swell and grow into large delicious flavorsome onions ready to eat around late summer. Onions sets are great if you are a little late in the season to grow from seeds or if you are limited for space. The seeds will need to be sown in trays around March and these will need to be kept in a greenhouse until they have rooted. Your seedy will be ready to transfer into the garden in rows around May. It is vital to use a good compost to ensure longevity and flavoursome onions. Plant in rows of four inch intervals and approximately twelve inches apart. Leave the onion globes to continue to grow throughout the summer. Lift the onions out of the ground a little once the leaves have yellowed and started to die off. 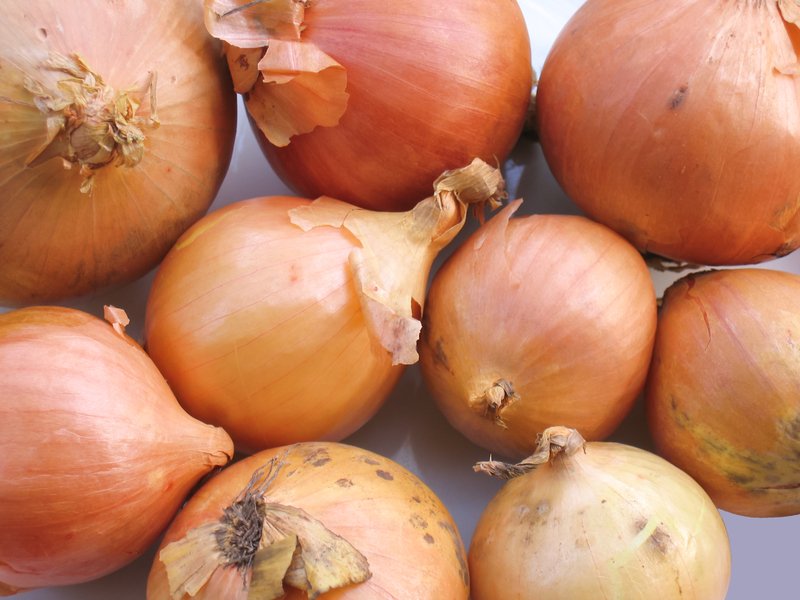 Once the foliage has died, remove the onions from the soil and dry them inside the shed or greenhouse. Growing onions from seeds is cheaper than growing from sets ad far cheaper than buying at the supermarket. One pack of 250 seeds is around £1.50 if an onion grew from every seed than the price of the onion would cost less than a mere penny. One onion set of 40 onions costs around £4.00 coting 10p per onion. Growing onions from sets can save a great deal of time – great if you lead a rather hectic lifestyle. If you have the time to grow from seeds then great but this does require a little more effort. There are loads of great gardening advice online and vegetable planners to allow you to grow throughout the year. Pay attention to the time you sow the seeds because this determines whether you will have full flavoursome vegetables or vegetables that hardly grow at all – onions won’t grow throughout the winter.